winter – Design Your Lifestyle. All year, the Design Your Lifestyle team has trumpeted the arrival of “statement neutrals” – using neutral tones as primary color elements in your home, kitchen and bath design. With the winter season right around the corner, we turn your attention to the most basic (and wintery) of neutrals – white! The freshness of pure white and off-white neutrals cannot be ignored. A crisp white finish to your home bath design provides an immediate “pop” of class and distinction, and will never go out of style. Combine these white design features with a well-designed amount of ambient light, and you have a brilliant finish to the statement bath design of your dreams! 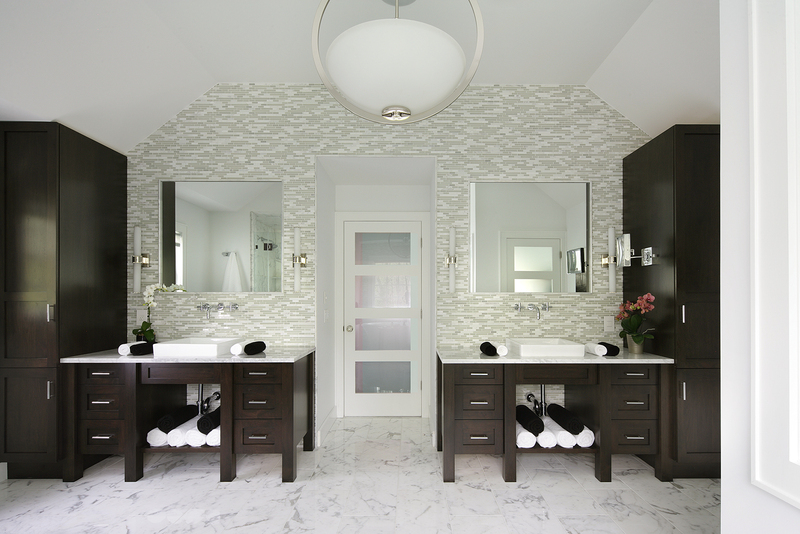 The Peter Salerno Inc. bath designs featured in this article are prime examples of how to properly utilize white as a “statement neutral” in your bath design. Of course, going “full white” as a color design scheme is generally doomed to fail. So how does an expert designer like Peter Salerno, CMKBD, utilize such large amounts of white in his award-winning bath designs while still maintaining that “WOW” factor his clients desire? Here are a few tips from a master designer and his team. 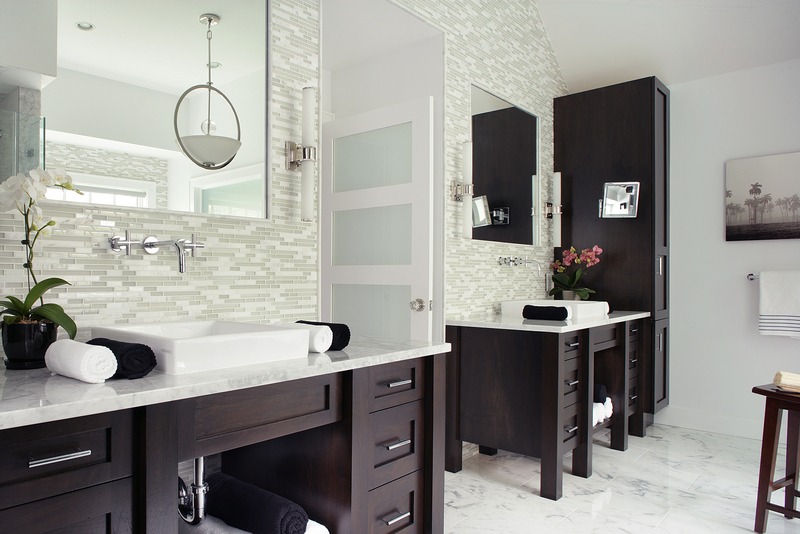 An award-winning white transitional bath design from Peter Salerno Inc. Even the brightest of bath designs needs contrast. 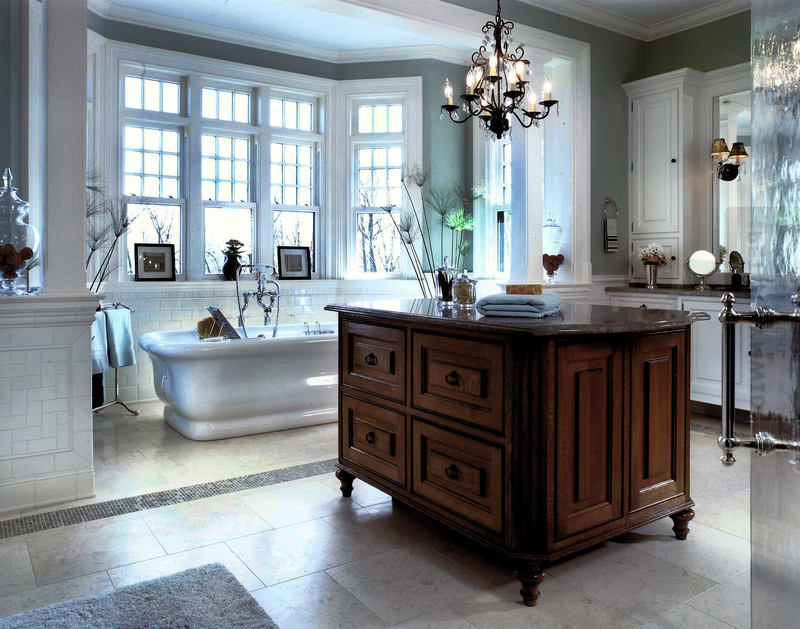 In the Peter Salerno Inc. bath designs featured in this piece, notice the utilization of rich wood grains in the feature cabinetry and islands. We love the gorgeous center cherry wood island in the top bath design, as well as the dark wood grains of the custom cabinetry and tables below. The depth and texture of these darker wood elements only serves to make the delicate whiteness of the tile, paint, claw foot tubs and counters that much brighter. Keep in mind that all the white paint, tile and counter spaces you implement will be augmented by proper use of ambient light. There is always room for statement lighting, but nothing beats the mixture of crisp sunshine off white design elements to make a neutral white tone seem earthy and welcoming. Like the designs you see here? Want more expert advice from the most award-winning custom kitchen and bath design firm in North America since 2002? Fill out the contact form below! Searching for official HTML, RGB and hex values for the Pantone Fall/Winter 2018 Classic Colors, as well as decor ideas for the home? You’ve come to the right place! While the primary audience of that release is wardrobe and fashion designers, the same core color design principles hold true when developing a world-class custom kitchen, bath, or whole home design. These 5 “classic colors” translate well into home design – especially more traditional, staid kitchen and bath designs. Let’s take a look at the Classic Colors of Fall/Winter 2018 as named by Pantone: Sargasso Sea, Tofu, Almond Buff, Quiet Gray and Meerkat. Sargasso Sea was crowned “the staple color” of the neutral set in the Pantone Fall/Winter 2018 collection. An intriguing navy blue that’s dark and deep (like its namesake), Sargasso Sea actually benefits from this depth, becoming easier to pair than most navy tones. While not quite as universal as black or gray, Sargasso Sea approaches that territory far more closely than other blueish neutrals, and increases its versatility. This isn’t an “all-over” wall color by any means, but Sargasso Sea is usable just about anywhere in the home. Off-white hues run the risk of being bland. Tofu’s just curious enough to buck that trend. Are we dealing with an ivory shade? Is the “off-white” note more towards a taupe? Whatever your eye tells you, Tofu is a rich, creamy off-white that attracts the eye. While it’s not a perfect neutral pairing for any primary design color, Tofu does the trick as a primary color itself, particularly in a clean, simple bath design with elegant features and brushed fixtures. 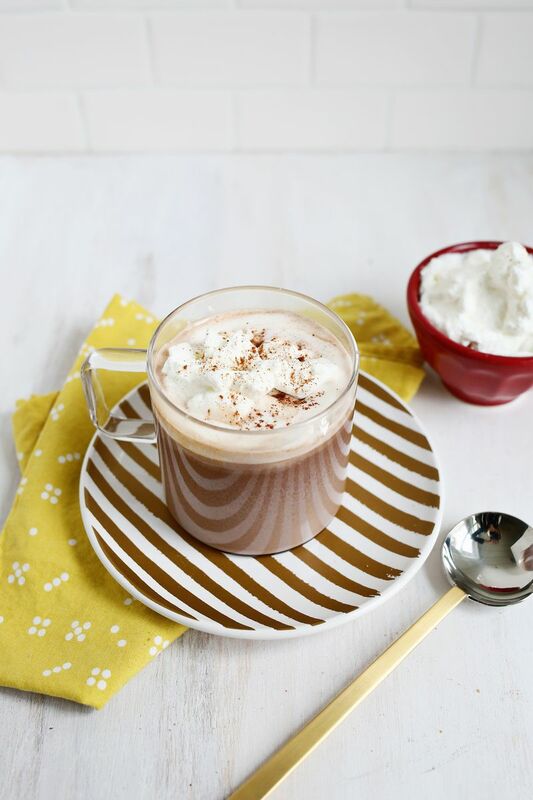 Almond Buff is a delicious shade of taupe that reminds us a lot of a light cup of breakfast blend coffee – one milk, two sugars, and an inviting aroma. A “natural camel hue with understated appeal” (according to Pantone), Almond Buff is the most “pairable” tan in this season’s collection. Almond Buff is a willing and amenable partner to light and dark shades, looks great against solid white, and fits neatly into the design scheme of a neutrally-based kitchen or bath design. When in doubt, a muted cool gray is a savvy choice for home design in 2018. From backsplashes to kitchen islands, subway tile to bathroom furnishings, Quiet Gray is about as versatile a color as you’ll find in the Pantone Fall/Winter 2018 collection. Try it just about anywhere – in the hands of a world-class designer, it can become a lasting staple of your home’s color scheme. Perhaps the singular smash hit of the Pantone Fall/Winter 2018 Classic Colors on the runway, Meerkat will certainly be in demand in terms of fall fashion. But where is Meerkat’s place in home color design? While it doesn’t appear to be quite the “right brown” for a primary color (especially on walls), Meerkat is a cheeky shade of brown that works well in accessories, decor, and perhaps in wainscoting, chair rails or crown moulding (although it must be paired properly). Have fun playing with this one! 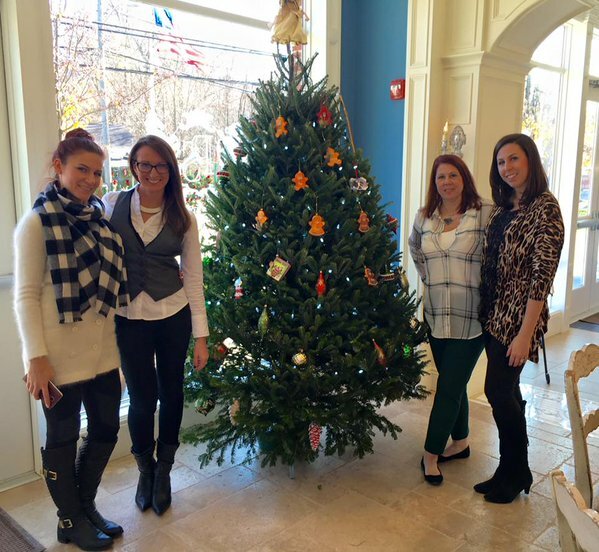 Peter Salerno Inc.’s Design Showroom Is Decked Out For Christmas! December 2016 December 2016 Peter Salerno, Inc. When you’re the Most Innovative Showroom in North America, it’s hard to get more festive. But Peter Salerno Inc. is out to Deck the Halls for Christmas 2016 in a big way, and you’re invited to celebrate! The flagship Peter Salerno Inc. custom home design showroom was awarded the prestigious KBIS Most Innovative Showroom award, and is truly a sight to behold. 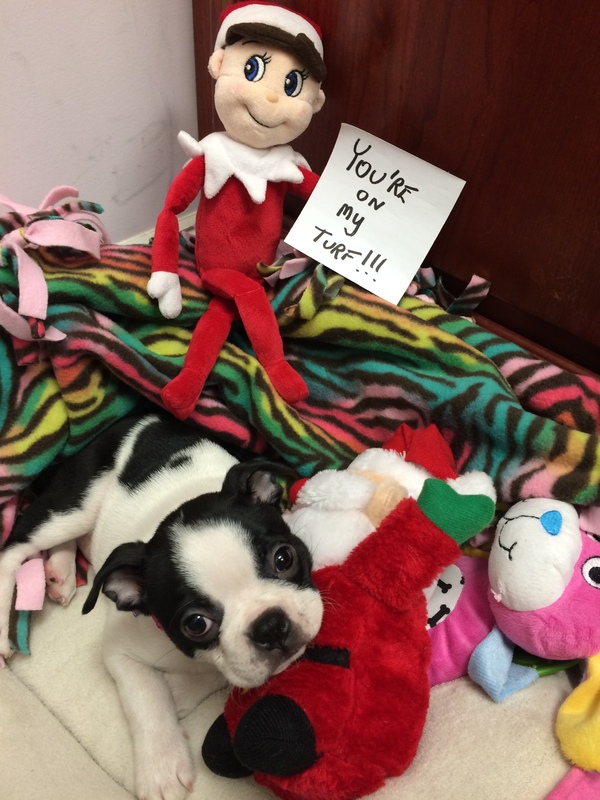 Add a glass or two of champagne and fine wine, a visit from Harper the office puppy and Elliot the Elf, and the Wyckoff, New Jersey showroom is the place to be for the holidays! 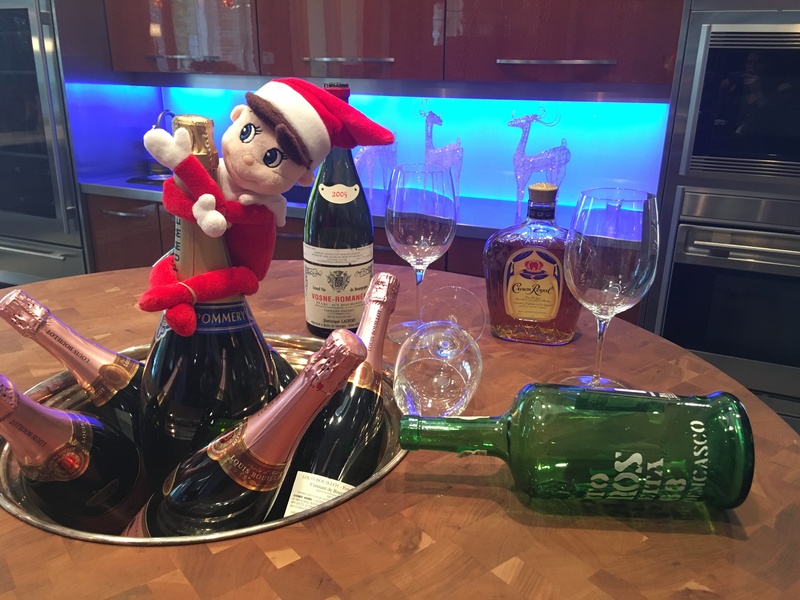 Elliot the Elf wishes you a Merry Christmas from Peter Salerno Inc.! The Peter Salerno Inc. building at 511 Goffle Road, Wyckoff, NJ, is also home to Stratta, the Tile Boutique, and Oberg & Lindquist Fine Appliances. Together, this trifecta of storefronts is your one-stop luxury stop for the pinnacle in custom home, kitchen and bath design, decor and appliances. 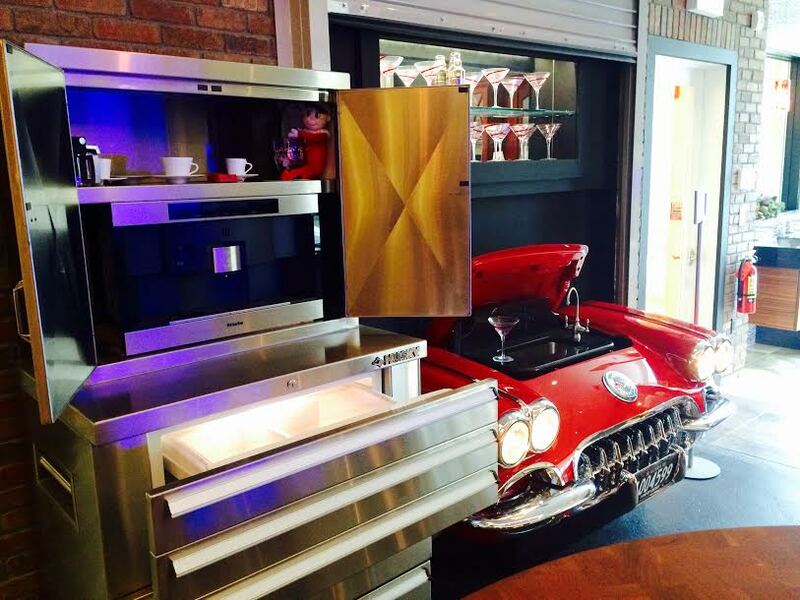 There’s so much to see at the flagship Peter Salerno Inc. showroom, including the world famous Corvette bar (pictured below), the La Cornue kitchen, and the brand-new Miele transitional kitchen that provides a new “wow” factor! Can you find Elliot the Elf in Peter Salerno Inc.’s showroom? Even Harper the office puppy is ready for Christmas!